Earlier this year Menna became one of Britain's most successful Paralympians. Menna was born with congenital retinal folds, which means she has less than five per cent vision. 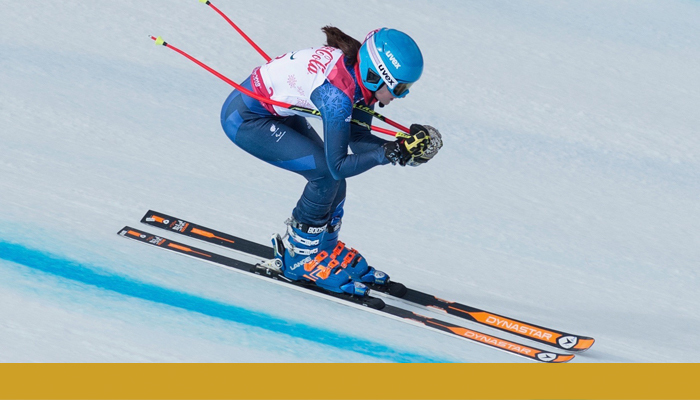 However, this doesn’t stop her from doing what she loves, which is ski racing of all things! In March 2018, Menna and her guide Jennifer Kehoe became Britain’s most successful Winter Paralympians in their first Paralympic Games by winning one gold, two silvers and a bronze in Pyeongchang Paralympics. It was through Menna’s family that she became interested in skiing, and in 2016 she paired up with Jennifer and has not looked back since. The way visually impaired skiing works is Jennifer wears a bright orange jacket, skiing ahead of Menna, and they communicate via Bluetooth headsets attached to their helmets. Find out sporting activities available for you.